The khaki Origin Pack from Magforce is designed to carry your gear and personal belongings with adjustable shoulder straps, a top handle, and waist belt. The Origin Pack has multiple compartments that can hold up to 23L. This backpack utilizes zippered pockets for storing smaller items and buckles to secure the outer main compartments or release the waist belt. For added security, this backpack also has a durable snap button at its front. This bag features buckles that are military tested and can resist cold and impact. The buttons on this bag feature an acid- and alkali-resistant build. This bag has a military-grade and quiet nylon CF/RC zipper, which utilizes a strong tooth surface bonding for durability. 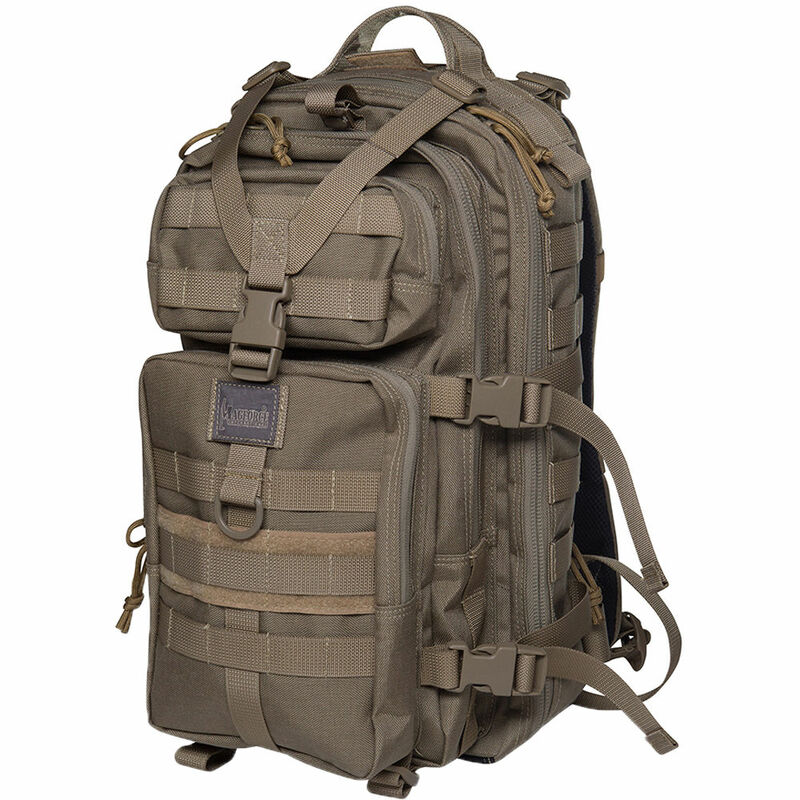 Magforce has equipped this bag with lightweight, high-strength, water- and wear-resistant, military-grade ballistic nylon. The Origin backpack is woven with ballistic nylon and has an anti-skid texture. Moreover, it has a smooth, non-slip, and abrasion-resistant surface for high-tensile strength that minimizes water absorption, hydrolysis, and breakage. The zipper pulls use military parachute rope to make the zippers easy to handle, even when wearing gloves. This bag utilizes nylon beetle wire for a strong, wear-resistant, and non-hydrolyzed hold. Box Dimensions (LxWxH) 19.5 x 13.9 x 5.05"